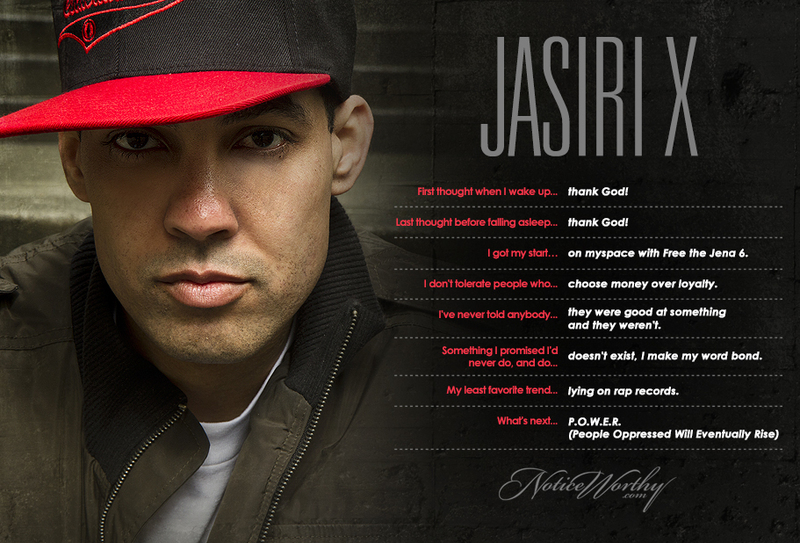 Jasiri breathes life into the true definition of hip-hop. The MC, activist, and entrepreneur splits open and raises awareness of controversial subjects via his empowering lyrics, his web series, "This Week with Jasiri X," and as president of Lyrics Inc. It's no surprise Jasiri was the first hip-hop artist receive the August Wilson Fellowship.